Ads in web freer is the credit for the owner who created this browser by spending his time to make its IP static – but many people don’t like these type of ads while browsing because of disturbance and their family problem as well because the ads are not good well to open them in front of others. 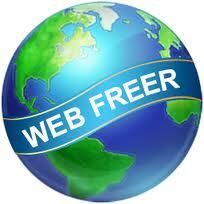 First of all open the folder where web freer is installed. 1st open ip2location.net and make sure your ip is not changed means the ip is static and not the yours secondly and the mostly check that the ads are not showing, if there aren’t ads then you are done but if not follow the next step. but i think your work will be done by just following the 3rd step. Actually changing the ip address is not good even its violating the term of service of the country, if the sites are not working on your own ip address it means that your Service provider (ISP) is not allowing you to open these sites but there are many sites that may be helpful for the users.